Think You Can Make It Without A Content Team? Think Again. So, you know you need to generate leads. You know you want to increases sales. And you know content is an increasingly critical ingredient in that equation; you get that content is hugely valuable. Then why do you think you can do it without a content team? I exaggerate, of course. Most readers here wouldn’t dream of marketing without a content engine – after all, the numbers speak for themselves. However, sometimes it happens. Maybe it’s pressure from above to cut costs. Maybe it’s because a CEO just doesn’t seem to ‘get’ the role of content in driving business. Maybe it’s an attempt to drive business through a mix of paid search and outbound. Or maybe some marketers think they can still produce content through other means (more on that later). I think most of us know that would be the death knell for many companies vying for attention and sales this day in age. 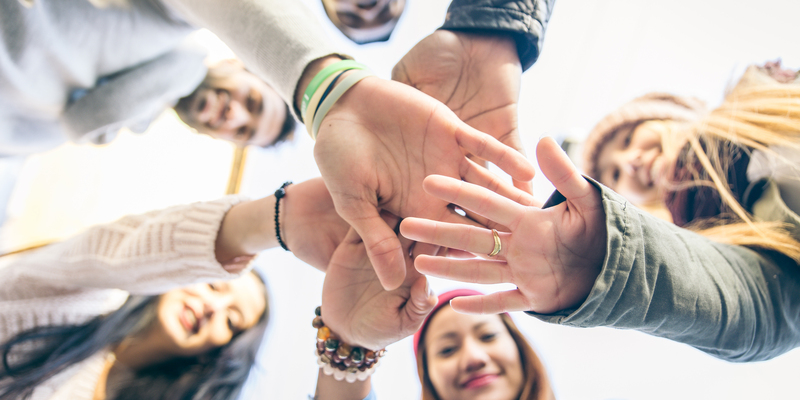 Forget about a content marketing team: a scant decade ago it would have seemed absurd in many marketing circles to commit capital and resources to one individual dedicated to simply creating and managing content. It’s the old thinking of these bygone days of marketing that impairs many from seeing the value and necessity of a content marketing program. The game has changed. Now content is an essential and rich cornerstone of any holistic marketing ecosystem. However, for those considering alternatives, let’s go through some other options. Actually, let’s call them mistakes. Absurd as it sounds, if you’re a marketing manager or VP trying to save a buck, maybe you’ve thought about the divide-and-conquer idea of spreading content demands across the team. A blog post from demand generation here. An eBook from marketing operations there. Maybe events can jump in with a webinar. Yes, writing – the cornerstone of content marketing – is a skill every working professional should possess. But just as you wouldn’t expect a content specialist to plan an event in the absence of an event manager, it’s folly to consider that different specialists across the department are a viable alternative to a maturing, successful content team. Writing and content marketing are nuanced disciplines that demand years of experience, skill, and application. Further, effective content marketers generate or curate a high volume of content that requires a lot of time and a focus on quality and legitimacy in order to establish authority in a particular space. Another temptation marketers face is the idea of simply outsourcing content generation. I’m not going to decry the use of freelancers and outsourcing in general. It can be useful for small companies as they grow and aren’t quite yet ready to commit to dedicated content resources. Also, there are a number of great creative services out there that do just that. Full disclosure: ScribbleLive might have a bit of a bias towards one of them in particular. Yet mature and maturing marketing departments need dedicated content resources for a number of reasons, and one key reason that rises above them all: the deep subject matter expertise content experts cultivate over a long period of time working with a particular product or service simply can’t be bought with the next freelance contract. Quality freelancers like great journalists do a great job of digging deep into the subject matter of a particular job or contract, but by the very nature of their profession, they’re torn in a million directions at any given time. Sometimes you’ll find a writer, for example, who specializes in a certain field, but in general freelance content generators, like mercenaries, are out for a manageable contract at an attractive price. Then, on to the next one. As online marketer Neil Patel suggests, it’s definitely okay to to outsource some of your content and it can be done while still maintaining quality. However, as you see with highly developed content marketing teams, there is absolutely no substitute for in-house talent that knows the industry, takes the pulse on best practices and emerging trends, and is intimately close to product and service offerings. The idea of leveraging your internal subject-matter experts to generate great content is great in theory. After all, they presumably have years of experience in your industry, they know products and services insanely well, and they are keenly aware of the context of the space and how it is changing and evolving. In other words, they are probably the first points of contact your content team – in essence, your journalists – will approach when tasked with a more complicated content project. They’re the experts on the matter, and what better a source for great content than the horse’s mouth. Most of them – and I say most, because there are always a number of great and talented exceptions – aren’t writers by trade. Their work will need a lot of finessing and sometimes complete rewriting, unless they happen to be one of these rare breeds (that do exist, don’t get me wrong – we have a few of them here at scribble) that can execute. Further, these internal SMEs also have full-time jobs. While a keen SME will agree in principle to the idea of contributing a blog post here and a whitepaper there, their (presumably already stretched) bandwidth will dictate how able they are to complete a content asset within a specified timeline. And believe me, in terms of prioritization, when a blog post competes against a sales or product deadline, the content will inevitably be pushed back. And that interrupts our content schedules, plans, and strategies, which any content marketer knows are essential to a successful content program. While we have had significant advances in AI-generated content and you continue to read it every day, for the time being, it’s not really reliable as a content marketing tool, especially for niche markets. Maybe eventually, then my job will be irrelevant and we can just let machines take over the world. In the meantime, build a great content team, set it up for success, nurture its talent, and don’t ever, ever think about letting it go. If content was big in 2017, it’s gonna explode in 2018. 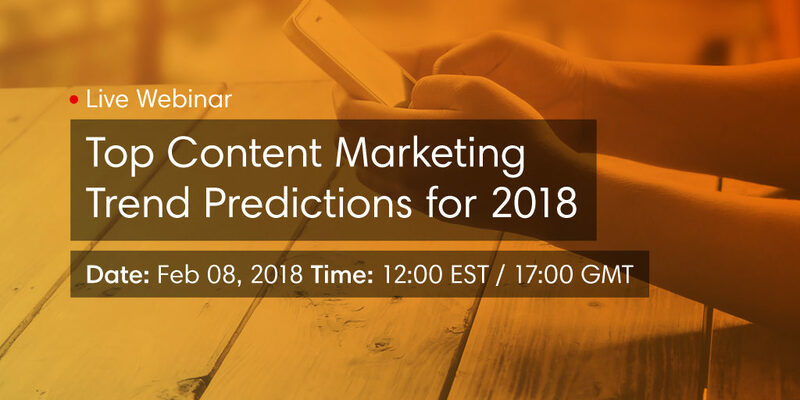 Attend our webinar to discover the trends that will shape content in 2018, or register with your information and we’ll send you the recording.